The National Campaign for the Arts (NCFA) has expressed 'deep disappointment' at the minimal increases for the sector in Budget 2018. 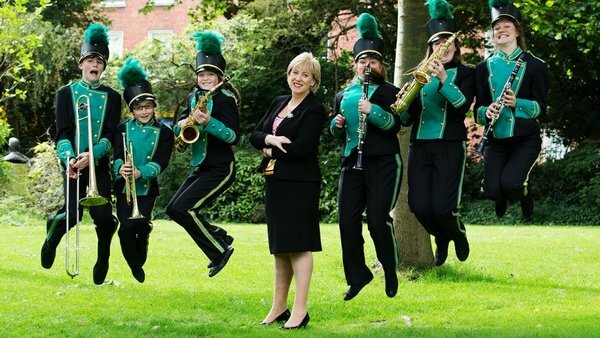 This follows a further expression of 'huge disappointment' from Arts Council chair Shelia Pratschke after the Council’s funding for 2018 was set at €68m - an overall increase of less than 5 per cent, following last year's 8 per cent increase, following several years of severe cuts to the arts. Elsewhere, Culture Ireland, the State Agency established to promote and advance Irish Arts internationally, received an increase from €3.5m to €4m (14 per cent) and the Irish Film Board from €16.5m to €18m (9%). These figures fell below expectations across the creative industries, following the Taoiseach’s campaign pledge to double investment in the sector over the next seven years, and the launch in March this year of Creative Ireland, the Government's Legacy Programme for the massively successful Ireland 2016 commemorations. In June this year, Taoiseach Leo Varadkar spoke about the importance and value of creativity in all our lives, stressing the importance of the Creative Ireland project: "I think what makes Irish men and Irish women unique in the world is the way we think. What Creative Ireland does is put art, culture and creativity at the centre of everything we do in the country and at the centre of government." Chair of the National Campaign for the Arts (NCFA), Jo Mangan stated that, "The Budget 2018 decisions are completely inconsistent with the commitments, and indeed policy focus, outlined by An Taoiseach and through the prism of Creative Ireland. We’re deeply disappointed at the funding allocations, and call on An Taoiseach to outline how his commitment of a 100% uplift to the Department’s funding will now be achieved, over the coming four years. The Budget announcements have proved underwhelming for our beleaguered sector where even the announcement of an increase in the minimum wage will have no impact as the majority of those working in the arts earn less than €10,000 per annum." 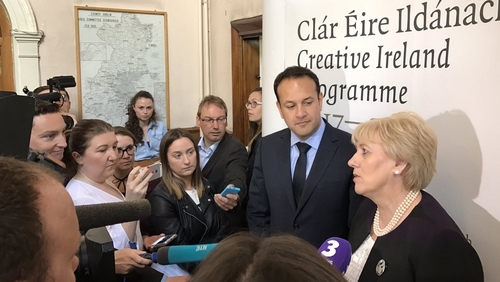 "While this will be a very difficult year for us and those we fund," commented Arts Council chair Shelia Pratschke, "we trust that the Taoiseach and government will stand over the promise to double funding to the arts and culture sector by 2024. We will continue to work with Minister Humphreys, to advocate for this increased investment in the arts and cultural sector. We need a commitment from government that we will have a significant uplift in investment from 2019."